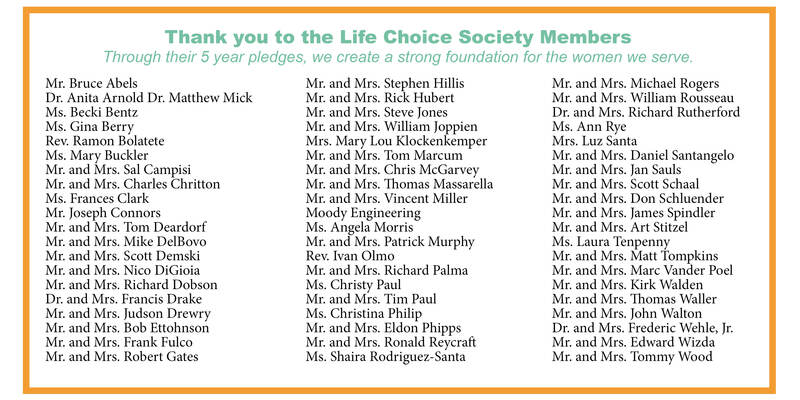 You are invited to join the Life Choice Society, our team of 5-year pledge supporters! Our goal for the Life Choice Society is to provide Options for Women PHC with a stable base of operating revenue for a five year period. This will provide a stronger foundation for expanding the reach of our services, and save more lives! The cost to save a baby is $1,200. We encourage you to make an investment in the lives of our babies and the future of Polk County. You can choose from the following levels of our Life Choice Society. Your pledge can be monthly or annually.